Puna Rock Company offers a high quality variety of rock products for home owners and commercial business owners. These products can be used in gardens, driveways, parking lots, rock walls, rock signs, pathways, and much more. General Fill is mainly used to fill areas where land needs to be raised or areas where large holes need to be filled at a fraction of the cost. This item is a rock and dirt fill where there is no particular size or ratio to rock and dirt, rocks may vary in size. Pit run like General fill is used to fill larger areas or to level or raise land. However, unlike general fill it’s mainly made up of broken rock with minimal amount of dirt. Pit Run is mainly what we process in our crushing plant. Pit Run is sized from 36" and smaller. Pit run will need to be moved with some type of heavy equipment. Please make sure with your contractor if using any of these two items that this is what the job requires. The most common and most readily used of the fills. 6" minus is 6” to 8” rocks down to fines and used to raise land in compactable layers where the house pad will sit on as well as other minor holes and areas where land needs to be levelled. 6" minus is rocks ranging from 6" to 8” on any one side some rocks may be longer in length but height and/or width may meet the 6" requirement and vice versa. Smaller equipment maybe used to handle this material such as mini excavators and skid steers. Also commonly referred to as 2 ½” Base Course or 2 ½” minus, it is 2 ½” rocks down to fines. Most times used as fill or a compactable base layer in areas where 6" minus is too large. Also commonly referred to as 1 ½” minus, it is 1 ½” rocks down to fines It can be used as a second layer on top of 6" minus or 2 1/2" Base course under a house pad or can be used for driveways, parking areas or levelling areas where not much material is needed. 3/4 Base Course or 3/4 minus is 3/4 size rocks all the way down to fines/sand. It is mainly for compaction and generally used for a base under asphalt or concrete applications or as a finished layer on larger size base course. Can be used for driveways or parking area applications but is not a wear material so overtime rocks will need to be reapplied depending on the amount of traffic. Base course is not recommended for areas of water run offs or areas with mud. S4C is ½” rocks down to fines and compacted in layers. It is commonly used as a pipe cushion for metal and PVC pipes. Concrete Agg Mix is a pre-blended material where in which all the homeowner needs to add is Portland cement and water. Our mix is blended at 60/40 ratio, 60% sand and 40% rock. However, different jobs may require the finish to be more coarse or fine, in that case, more sand or more rock may need to be added to this mix in order to achieve the mason’s final preference. Please check with your contractor on what they require. With this blend, you will achieve the 3/2/1 ratio which is 3 parts sand to 2 parts rock and 1 part cement. Depending on the strength of the final product please check with building codes or contractor different jobs require different strengths. Also referred to as 2 1/2" wash or clean rock, it is crushed rock ranging from 2 1/2" to 3/8". There are no fines in this material and will not compact unlike base course. This material is used in areas of water run offs, may be used to fill leech fields, landscaping and areas where mud exists on driveways and parking areas. 1 1/2" Drain Rock may also be used in the same manner. Also referred to as 1 1/2" wash or clean rock, it is crushed rock ranging from 1 1/2" to 3/8" chips. There are no fines in this material and will not compact unlike base course. This material is used in areas of water run offs, maybe used to fill leech fields, landscaping and areas where mud exists on driveways and parking areas. 2 1/2" Drain Rock may also be used in the same manner. It is exactly the same as the B Grade with 2 exceptions, the quality of the rock is much higher and the color is consistent at a gray-like appearance. It is exactly the same as the ‘B’ Grade with 2 exceptions: the quality of the rock is much higher and the color is consistent at a gray-like appearance. Also referred to as 3/4" clean or wash, 3B Fine or 3/4" drain rock, it is crushed rock ranging from 7/8" to 3/16". Most common uses would be for landscaping, driveways and parking areas, areas with existing mud, and water run-off. It is exactly the same as the ‘B’ Grade with 2 exceptions. The quality of the rock is much higher and the color is consistent at a gray like appearance. Uniform 3/4 Rock with no chips or sand, its primary use is landscape such as Japanese Rock Gardens. We do not recommend this product other than the sole purpose of landscaping. Most commonly referred to as pea gravel it is crushed rock ranging from ½” to 3/16”. Most typical applications for #4 Sand is mixing concrete. It is also used for the dress layer or the cushion layer for water catchment liners and with new building codes. It is the only material that can be used as pipe cushion for copper and ABS piping. Most popular use is the building of a rock wall. The rocks are made from larger boulders broken down to sizes ranging from 12" to 24" but there will be other smaller rocks mixed in when loading from a front end loader, so keep in mind if you are looking for specific rocks, you must come down and hand pick them to meet your wall needs. Also when loading from a front end loader, it is hard to know how many of one or the other you will receive, so please keep in mind if you need a certain size its best to come and hand select your own. Boulders range in a variety of sizes and shapes. We have many to choose from in our quarry. They are most often used as the centerpiece in a rock garden or as accents to your landscape design. When you decide that you need a boulder, please make sure you bring your hard hat with you and some type of marking ribbon that way we know that boulder is reserved for you. 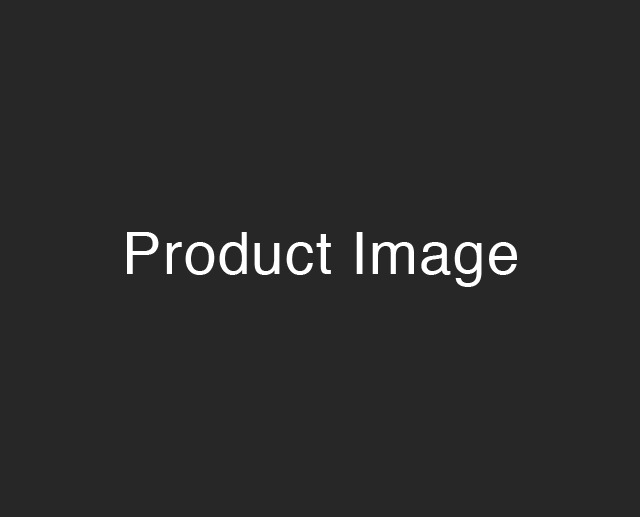 This is one of those items that you have to see it in order for you to know if it will work for your project. This top soil is from the Hamakua coast from the old sugar plantation. Great for gardening and planting. Is a blend of the Pepeekeo top soil mixed with black and red cinders for aeration. Also great for gardening and planting and is already blended at a 50/50 ratio. A byproduct of lava cinders is a light airy material that has many uses for landscaping to potted plants. This cinder goes through a vigorous process in order to get to its end product. It is first screened in order to have more uniform 5/8" pieces. It is then steamed for sterile exported potting media essentially killing any unwanted pests and nematodes. This item is popular for potted plant and orchid growers. Used in addition with top soil or cinder soil, it is something that every farmer or home gardener should have. It is made up of mac nuts husks and other vegetation from the mac nut fields which then composted for a year’s time in some cases longer and yields a dark rich black color full of nutrients for your plants and vegetables. Cinders come from volcanic rocks, similar to pumice but a darker, rich color. This rock is porous and floats in water, making it a great absorbent material. Also called scoria, this rock is used for road bases, railroad tie support, and even barbeque grill kindling. They work well for landscaping because they are light for easy transporting and look attractive in almost any setting. This product from Puna Rock Company is finely ground cinder mixed with soil and macadamia nut husks. It works great for growing flowers, vegetables, fruit trees, and starting coffee plants. There are also mixes for growing lawns, palm trees, and bushes. There are many types of landscape rock to choose from, including round rocks, multi-colored mixes, and large boulders to serve as perimeters for flowerbeds and gardens. Boulders serve many purposes in landscaping, including framing a walkway, adding dimension to rock areas around trees, creating a divider wall between property areas, holding back rising water, surrounding flowerbeds, serving as the base for a plaque or sign, and much more. These boulders can be short and wide or more narrow and tall, ranging from one to several feet high. We will find the best boulders for your needs. These easy to transport, moisture-absorbing materials are used in many landscaping applications. Gravel can be used for rural driveways, service roads, garden areas, edging to prevent erosion, and more. Sand is used as a base for pavers to set the stones firmly in place. It is also a mixing agent in concrete and mortar. Puna Rock Company also provides rock wall material. 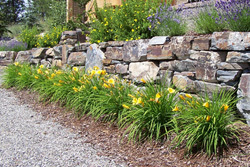 Rock walls can be created with symmetrical stones or natural stones, creating variances in spacing and edges. The style up to you and depends on your visual preference, purpose of the rock wall, and budget. We will help you find the best material to build your rock wall.